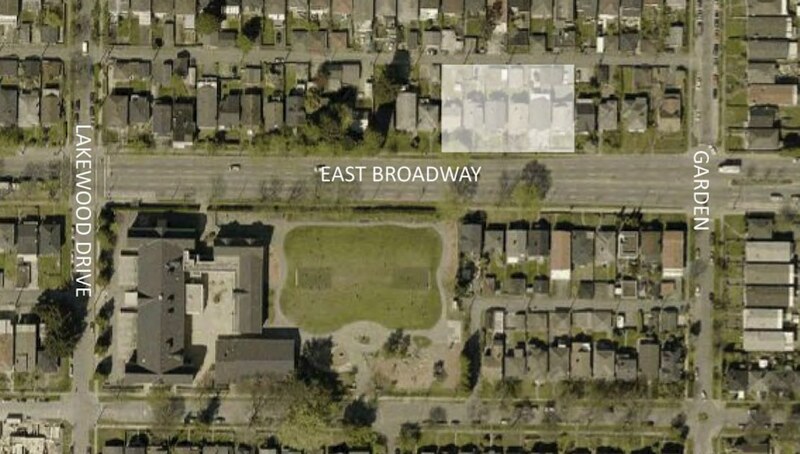 A modest residential development has been proposed for a site near the northwest corner of the intersection of East Broadway and Nanaimo Street in East Vancouver. 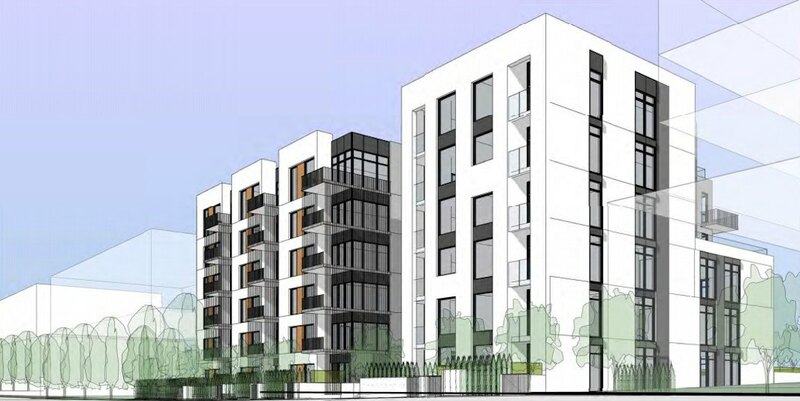 Epix Developments has submitted a rezoning application to redevelop the site at 2209-2249 East Broadway into a 65-ft-tall, six-storey residential building. It will replace approximately half a dozen single-family homes on the land assembly site. 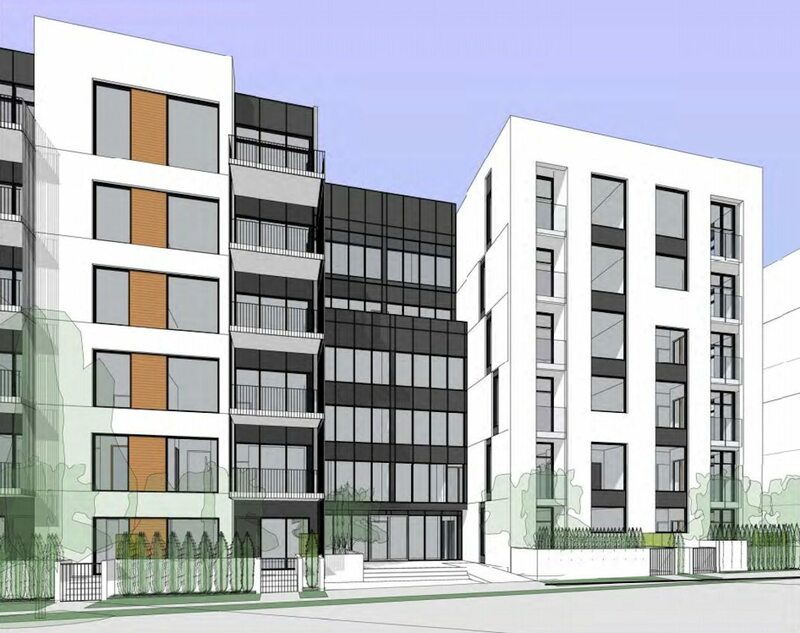 The project, designed by Taylor Kurtz Architecture + Design, calls for 87 strata titled homes, including a number of townhouses that line the building’s laneway frontage. There will be a total floor area of 65,000 sq. ft., providing a floor space ratio density of 2.65 times the size of the development’s lot size. A total of 95 vehicle parking stalls and 109 bike parking spaces will be located underground. This proposal falls under the City’s Grandview-Woodland Community Plan.